Happy New Year's Eve All! 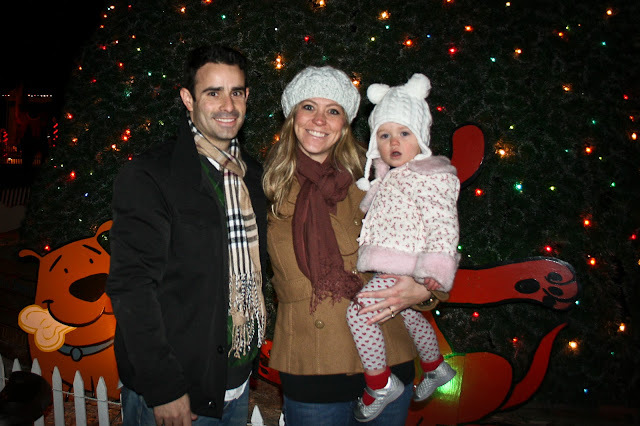 I so hope you had a wonderful holiday this past week - I am basking in days of joy, too much food, family celebrations, and giggles from my little one. It has in deed been a good week for us. Day 29 - Our annual BIG family celebration (my family is quite large & so this is an annual gathering with second cousins, great aunts, and even a few people who I'm embarrassed to say I don't really know...is your family like that too?) 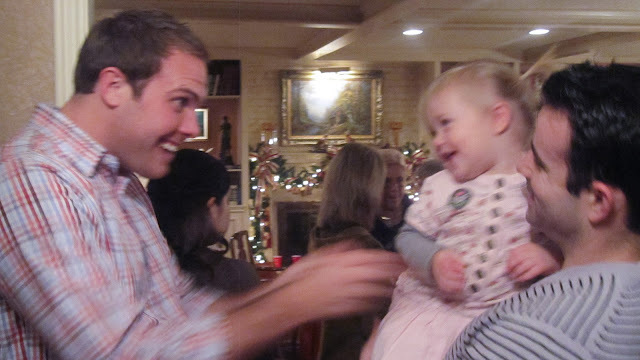 I love this shot - although it is blurry, it is my cousin Nathan playing around with Selah - she loved every minute of his attention. 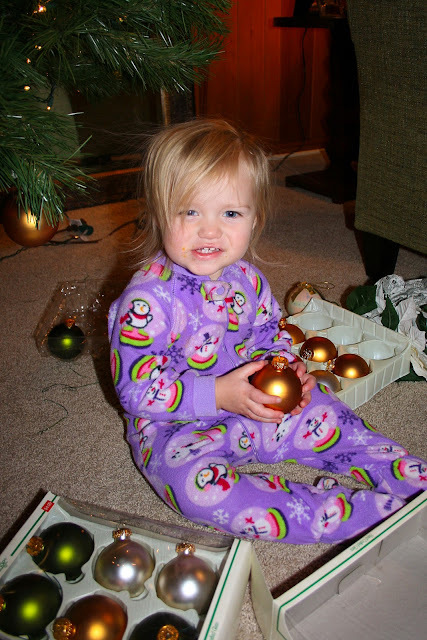 Day 30 - Christmas Eve! 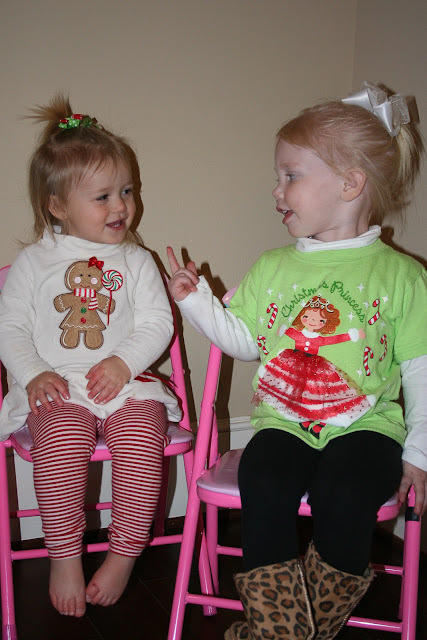 We had another family celebration and while the adults were eating dinner, I spied Selah & her cousin Maci in the corner. 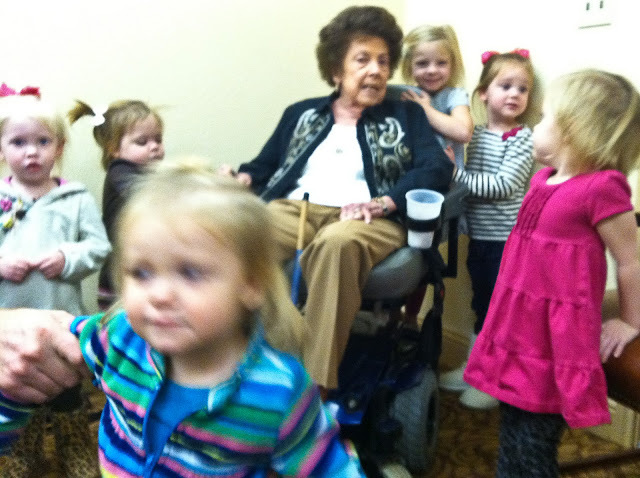 They had pulled their little chairs into the corner and were engaged in a deep conversation. 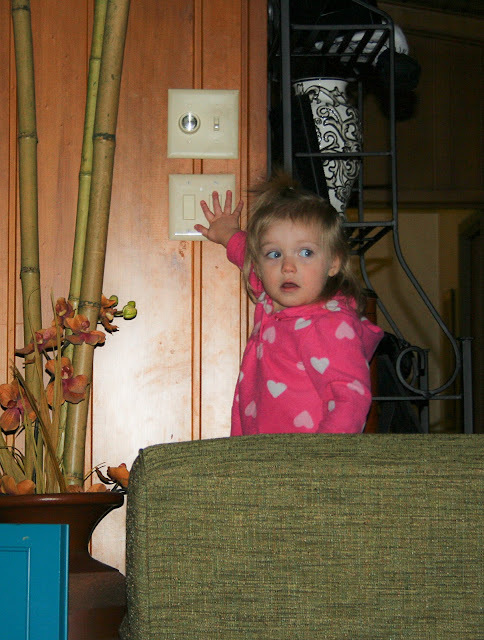 I'm finding that my favorite pictures in the 365 project are those when I capture real moments like this! I missed day 32 - oops! Josh's parents came into town so we were busy cleaning up the house, packing for our trip (we went to the mountains - woohoo!) and the like...oh well - should I start calling this Project 364? Day 33 - So, we traveled to Ruidoso, NM with Josh's parents & we rented a cozy and rustic cabin. Selah slept in our room so this is late in the evening...and Josh and I found ourselves hanging out in the bathroom! 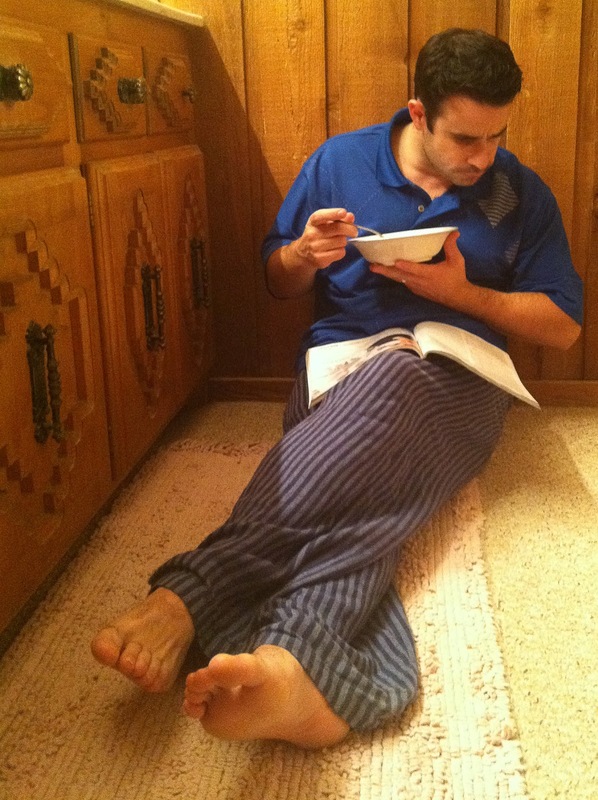 We weren't ready to go to sleep and his dad was resting in the living area...so we retreated to the bathroom - here is Josh eating some cereal & reading Forbes. 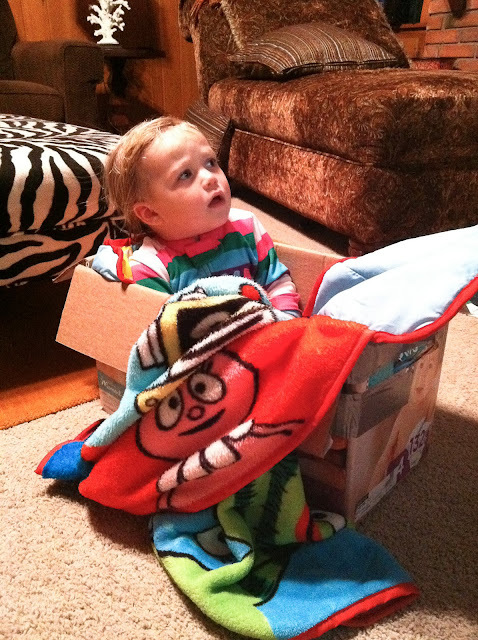 I'm learning that the power of a child actually asleep leads us to do all sorts of things to keep that child sleeping! Day 34 - Here is my weekly picture of myself...and I have to be honest, this is my favorite picture of the week...I don't have any make-up on and my fingers were freezing...but I was truly having fun in this moment! We went sledding with Selah & as you can tell by both of our faces - it's fun to feel like you are flying! 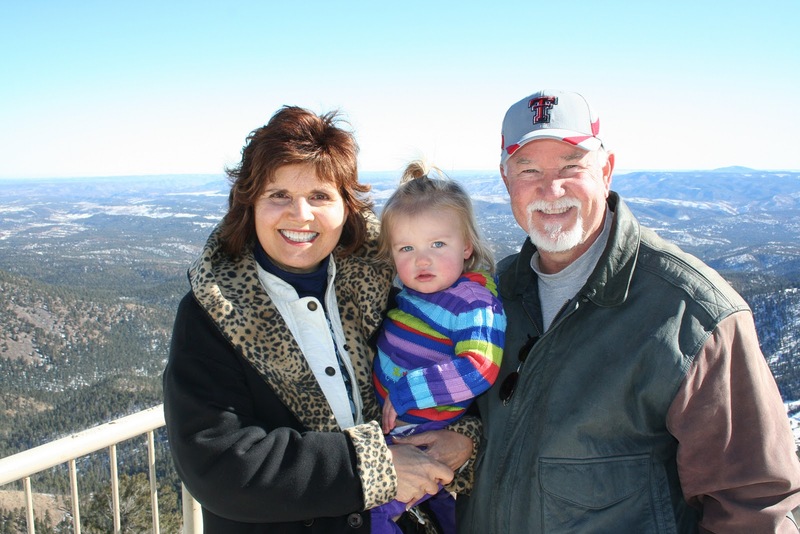 Day 35 - We drove up to a beautiful look-out on the mountain & Selah posed with her Safta & Sabba (Hebrew from grandmother & grandfather)...although at this point she calls them Tafta & Sabby! 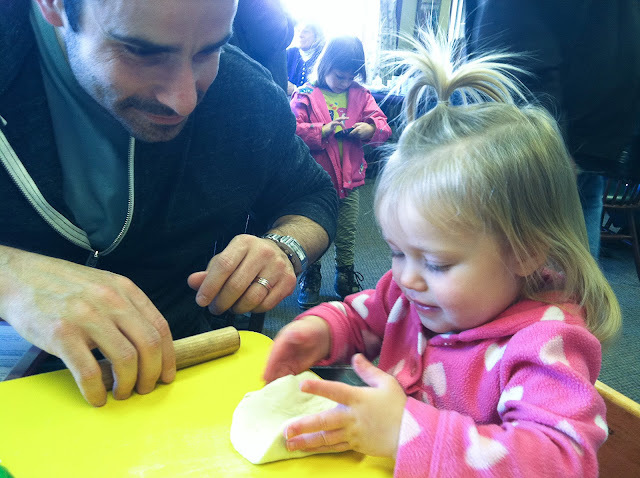 Day 36 - Before we got on the road to head home yesterday, we at breakfast at a darling bakery & they brought out some dough for Selah to play with as we waited...GENIUS! 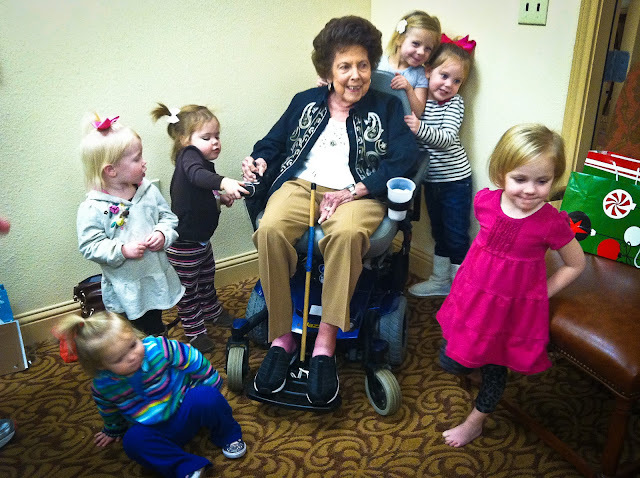 She enjoyed making creations...and so did her dad...and her grandmother...and really all of us! This is a glimpse of our week! If you aren't sure what I'm doing here...I've decided to take a picture a day to cherish the little moments of life! I'd love it if you wanted to join me in this adventure as well - in fact, what better time to start than January 1st! Can you imagine capturing your life with one picture a day in 2012?! If you want to join us, be sure and link up below - can't wait to see what your weeks looked like! What a week we had in our little home! Hand Foot Mouth Disease visited and camped out most of the week - it sounds MUCH more terrible than it really is, but alas we were quarantined inside while little Selah was contagious! It actually turned out to be an easy time to stay home from work and I did my best to keep sweet Selah entertained, but I have to be honest and tell you that we also watched our fair share of Yo Gabba Gabba, Elmo, Dora & Downton Abbey for me. I'm so excited for the second season of Downton Abbey to come back in January - can I have a shout out?! (Sorry, this was a tangent from a mom who has been inside most of the week). So, here is a picture a day from our week of quarantine! So thankful that my sweet girl is healthy & whole now! 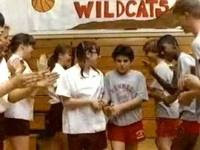 Here is a little peek at Margaret on Wonder Years - wish it was better quality, but hopefully you can get the idea of just how awesome those pigtails are! Day 23 - My mom and dad watched our sick girl for a couple hours so Josh and I could do some Christmas shopping...I wonder what Selah is getting! Day 24 - I had the privilege to preach this weekend at Church on the Rock's South Campus on Prayer. 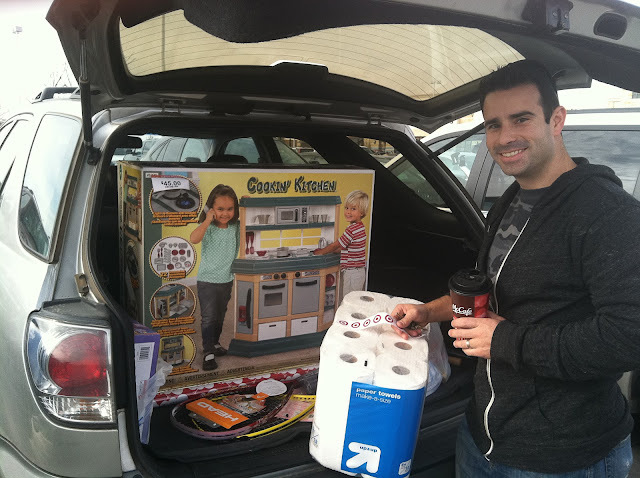 So, this is what I was looking at early Sunday morning - yes, I did get 3 items from Starbucks! Oh, and in case you want to hear my message entitled: The Myths & Miracles of Prayer you can listen here! 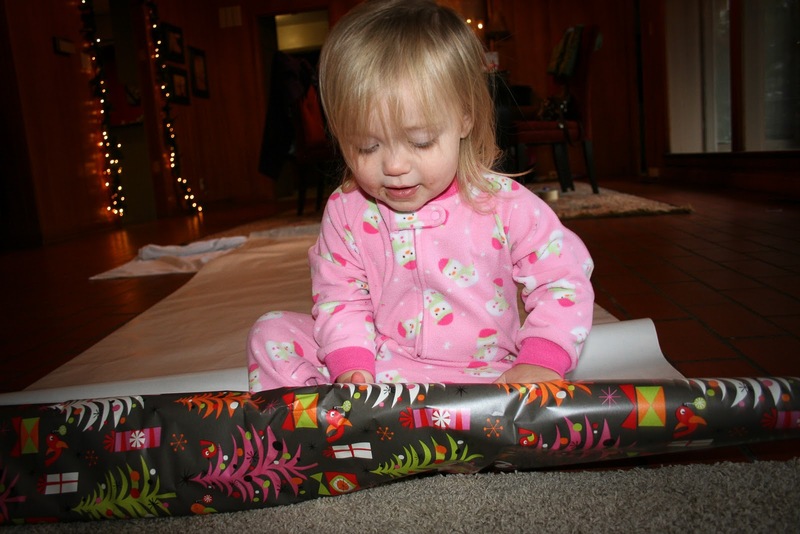 Day 25 - It was another day inside & Selah helped me wrap gifts...actually, she rolled out a paper roll & had fun! We drew outlines of our bodies & colored them & Selah tried to wrap all sorts of things - candles she found around the house & her lunch! Day 26 - Stir Crazy is the name for this day - so we discovered the joy of turning lights on and off...over...and over...and over! 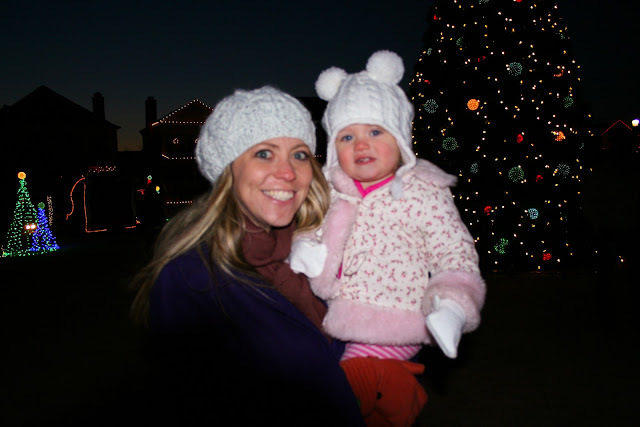 Day 28 - My mom (Gigi) took Selah and I out for a trip to Holland Gardens. 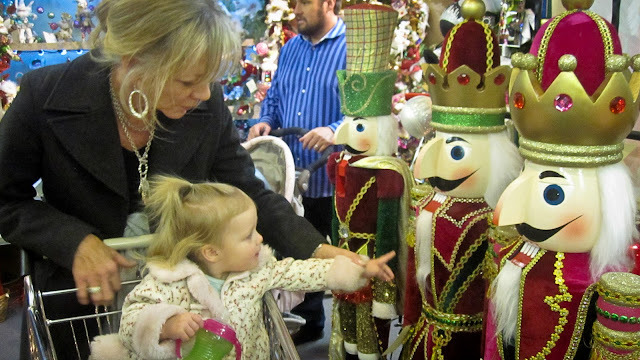 She had taken all the other granddaughters to see the Christmas displays and Selah was finally well enough for her own special outing! I went to Holland Gardens as a child and I have to be honest seeing hundreds of trees lit up and decorated with such grandeur made me nostalgic. 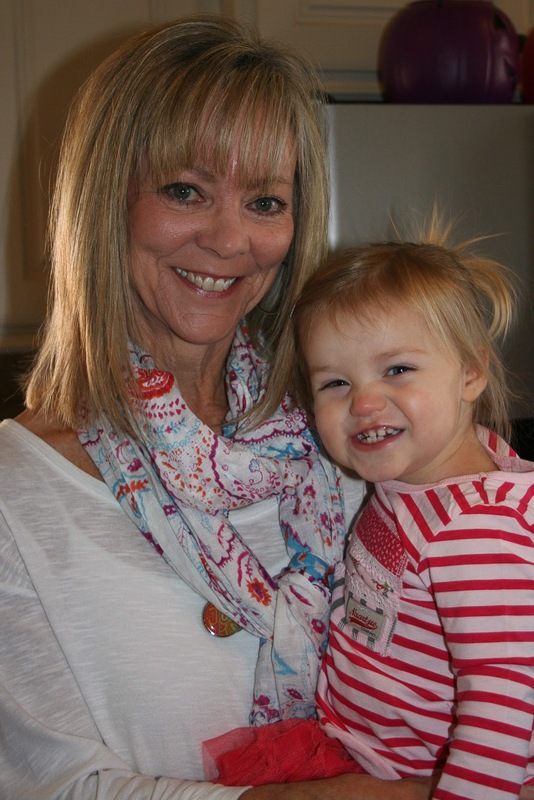 So thankful my little girl has a Gigi that loves making her smile! What happened in your week? Please link up if you are joining us in the 365 challenge, and be sure to encourage others as we take a picture each day! 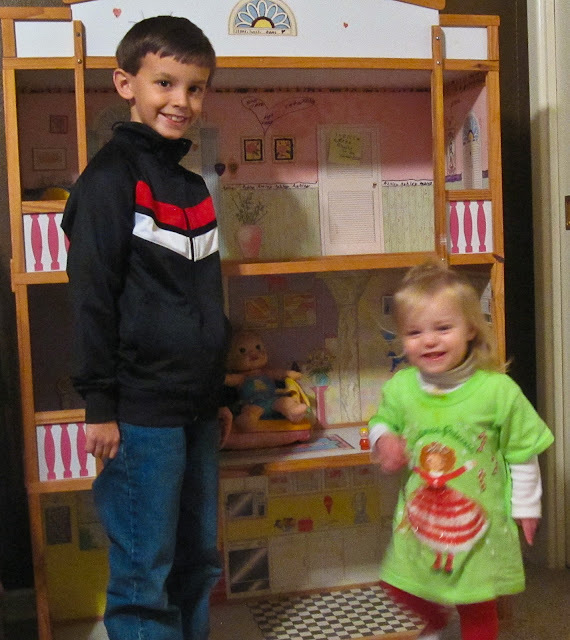 Project 365 continues with a snapshot into each day of our lives. This week was filled with precious moments of reunions and hugs, laughter and thanks, and even quiet moments to reflect and hug a sick baby. I'm discovering just how much I'm going to love this project - it's a great way on my Friday mornings to look back and reflect on the beauty of each day we've been given. On a practical side, I'm realizing just what a difference my various cameras make to the quality of the pictures I capture...and yet, I kind of love the grainy images from my iPhone - just kind of shows how everyday is a bit different...I'll make note of which camera I used & I will probably start trying to carry around my digital SLR more often. Be sure to link up if you are joining me on this project! And although I'm only doing one pic a day...couldn't help but show you what transpired just moments later - Selah is making a break for it. 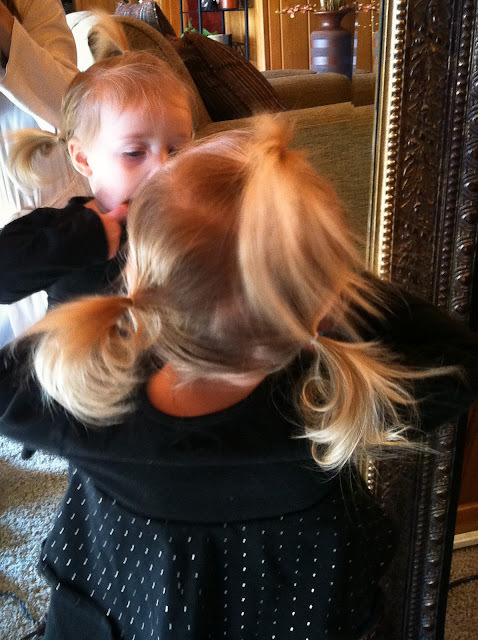 Peyton is still playing with buttons & Ava is making sure she looks good in every picture! On Sunday night the church hosted it's annual Volunteer Appreciation Banquet and it was an absolute blast! 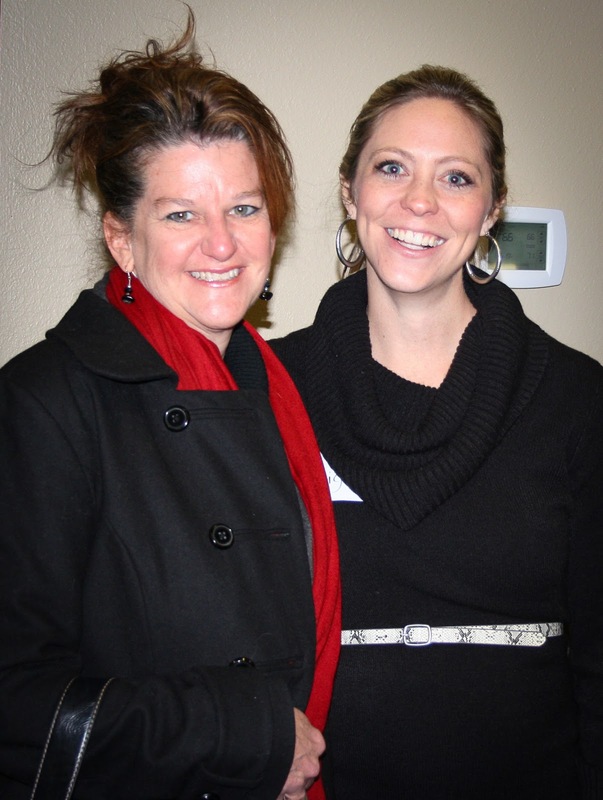 This is a picture with my friend Liz who volunteered in the missions department every week for most of this last year. She was a God-send to me (she kept track of everyone's finances as they received them for mission trips). I love Liz & I had fun this night (SLR camera). Josh was out of town this past weekend on a guys trip (he met up with friends from college) and they went to the Cowboys game on Sunday night. 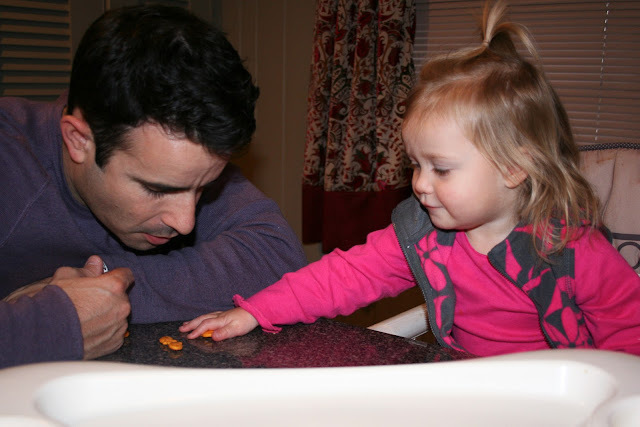 He returned home on Monday and Selah was oh so happy to be reunited with her daddy - she was even willing to share her goldfish crackers! (digital SLR with basic lens). Show us a snapshot into your lives this week! Link up below. Don’t you just love to read? There is just something about books that is intoxicating to me – a cracked spine, the feel of a book in your hands, and mostly losing myself in a great story. Thinking about characters long after I’ve set a book aside or pondering a deep thought from an author like Henri Nouwen or Cori Ten Boom. I love books – I always have. 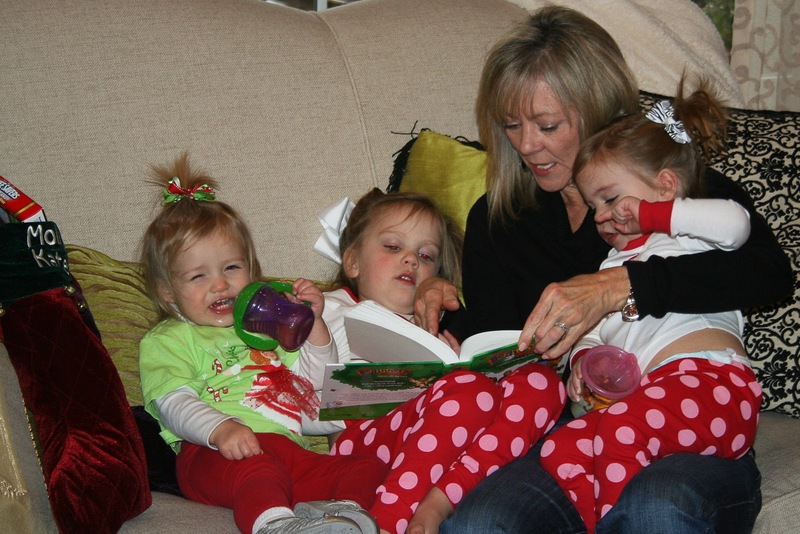 In fact, my mom loves to tell the story about finding me in the mornings as a toddler curled up with a book in my hands, and how the best way to bring discipline in my little life was to ground me from my books – even for just a day. She actually just did that once or twice because I was so very distraught. Needless to say, my love affair with reading is long and I intend for it to continue for much longer. I had a friend email me yesterday asking for book ideas to give away as Christmas gifts this year, so I thought I’d share a few of the recommendations that I sent her way. 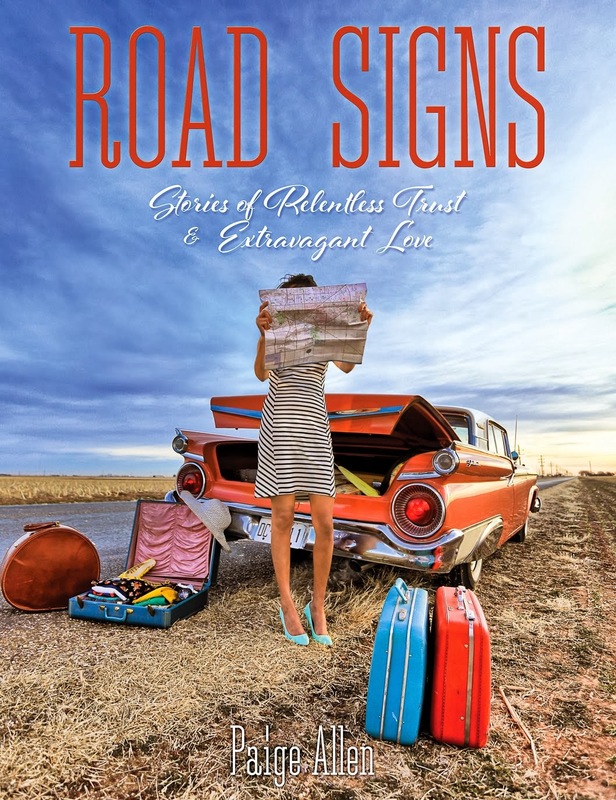 You may be good and already have your Christmas shopping done, but if you are like me you still have a very long way to go – so perhaps these might be the perfect gift for someone on your list. 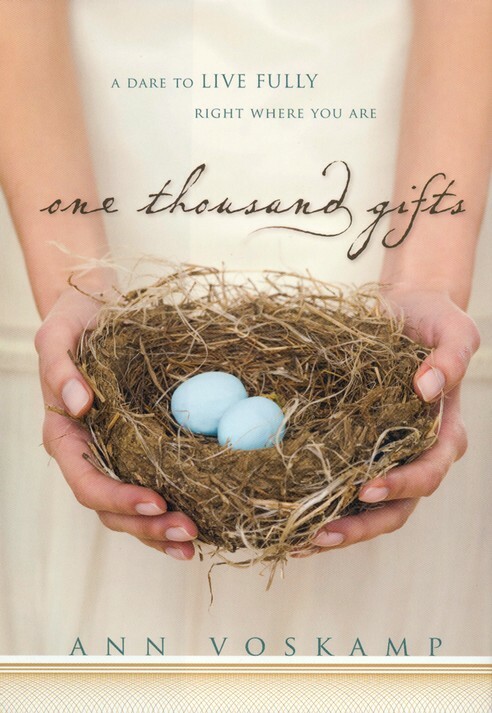 One Thousand Gifts by Ann Voskamp – this was my favorite read this past year because it was not only beautifully written but it made me reevaluate some things in my life. I started looking through new lenses at my life- lenses of gratitude and grace – and what a difference that makes! 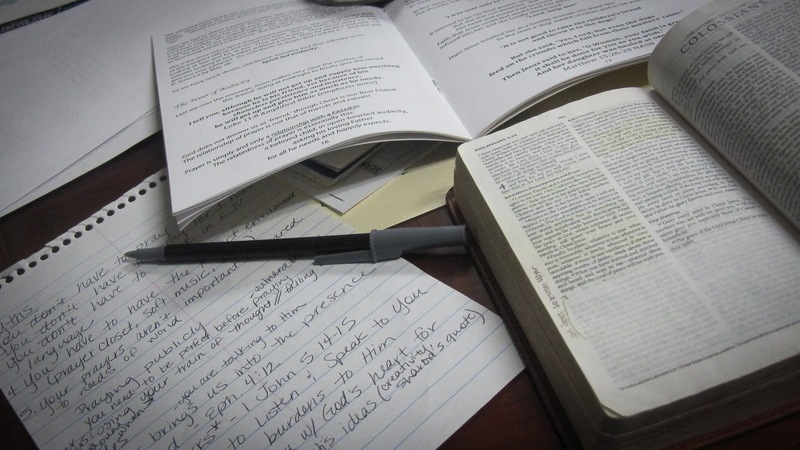 Tramp for the Lord by Corrie Ten Boom – this was my other favorite read this past year. I’ve always loved Ms. Ten Boom for her life testimony and her work The Hiding Place, but I did not know just how amazing her testimony really was until I was STRONGLY encouraged by my friend Marisa to pick up this book. This book begins after her freedom from the concentration camp and her willingness to obey the Holy Spirit in huge ways while in her 70’s is inspirational! 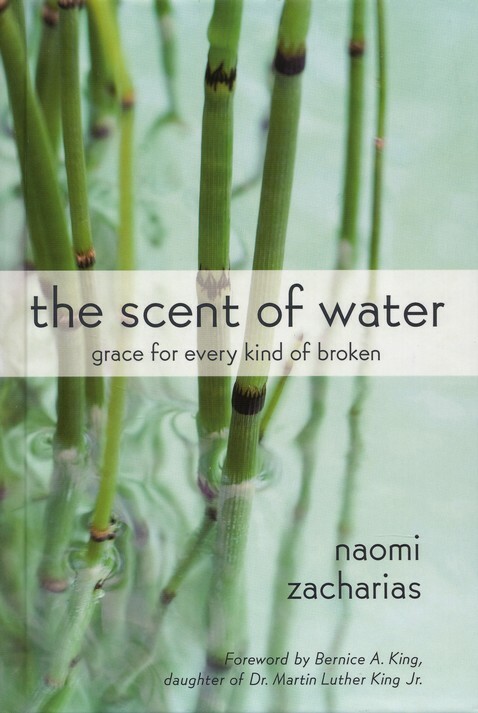 The Scent of Water by Naomi Zacharias – I was given this book by my friends at Sower of Seeds and it is a lovely story of pain, grace, and seeing God’s goodness across the globe. 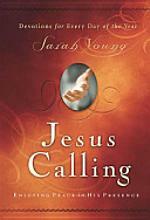 Jesus Calling by Sarah Young – this book is already wildly popular, but I’m jumping on the bandwagon to let you know how it speaks to my soul each morning that I read it. It is anointed and filled with beauty – I truly feel that they are Jesus’ words calling to my soul each morning to trust and look to Him. 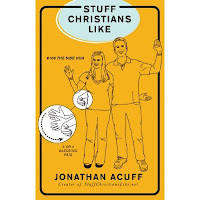 Stuff Christians Like by Jon Acuff – This book has been out for quite awhile too, but I recently purchased it for my sister because she loves all things satirical…and I love this book too. 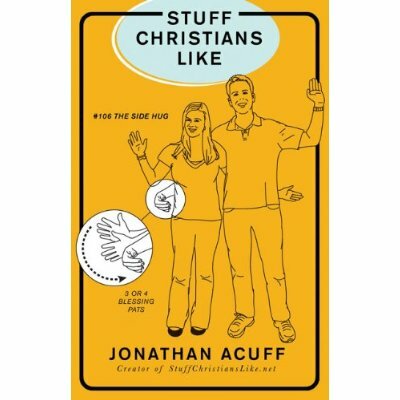 Simply put, if you grew up in the church and Christian culture it is funny and will make you laugh at the crazy things Christians do. So run on out to a local bookstore and pick one up! I know that I didn’t list any fiction (but let me know if you want any suggestions in that genre too). What about you? Do you have any book recommendations that you think would make a great Christmas gift? It's easier if I start out the day with an idea of what I want to capture. One day I was just going to capture something along the way and realized before I put Selah to bed that my mission had yet to happen. I'm going to have to get over my belief that I'm inconveniencing people by asking for a picture. Too often there is a moment I want to take a pic of, but I get shy and just don't do it. I'm realizing this project is going to take me out of that comfort zone (this is a good thing - I think). I really need to carry my camera with me more often. Although I'm thankful for my iPhone & I sometimes like the grainy images that I capture with it...I really can't compare those pictures with those I take from my nicer camera. I also learned that this is a really fun project and helps me to remember just how precious each day is! If you started this journey with me, what did you learn? I can't wait to see your pictures - here is a snapshot of my life! Friday night we had a dinner with students from my online leadership class. 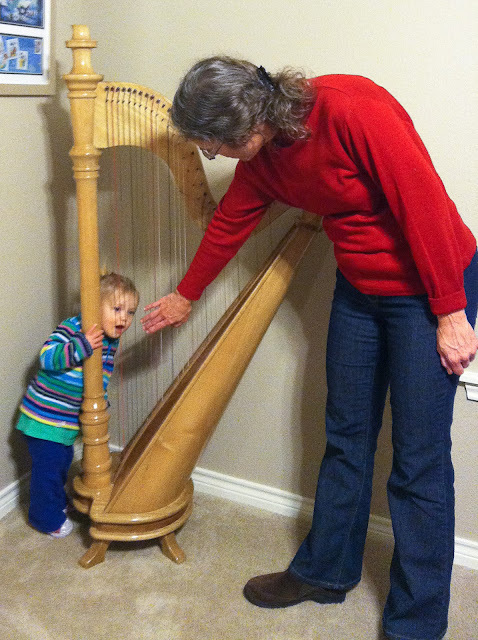 This was the first time most of them had met face to face - and Selah loved the harp at Elizabeth Matthew's house! 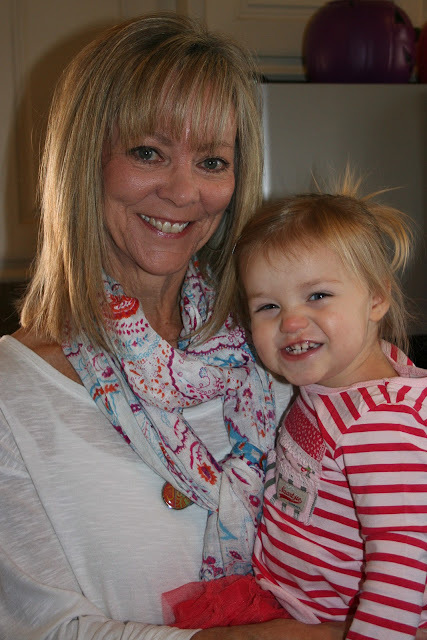 We had a brunch on Saturday morning to celebrate my lovely mother! I love this picture of her and Selah. Selah really likes posing in front of the camera right now (perhaps a sign that this is a good time to do this pic a day project) - here she is saying cheese as she gives me her biggest smile! 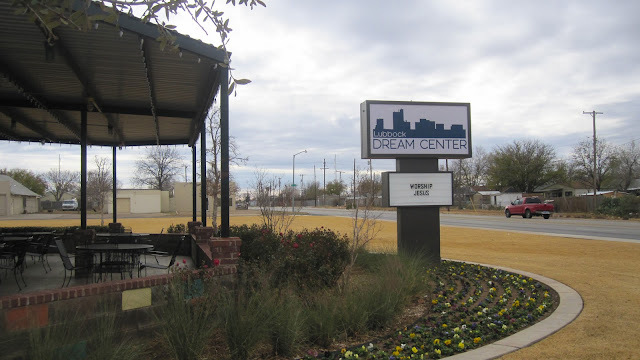 I had the privilege to preach on Sunday morning at The Lubbock Dream Center, and this picture in no way truly captures the heart of this place - I found myself talking and listening and praying after I shared so it was only as I was exiting the building that I remembered to snap a picture. The one thing I do like is that the marquee sign simply says "Worship Jesus" and that is what happens in this place- just absolutely love it! We got snow on Monday! Yipee! And this was Selah's first time to walk around in all of it's white goodness - she absolutely LOVED the snow...for 5 minutes...and then decided it was much too cold. 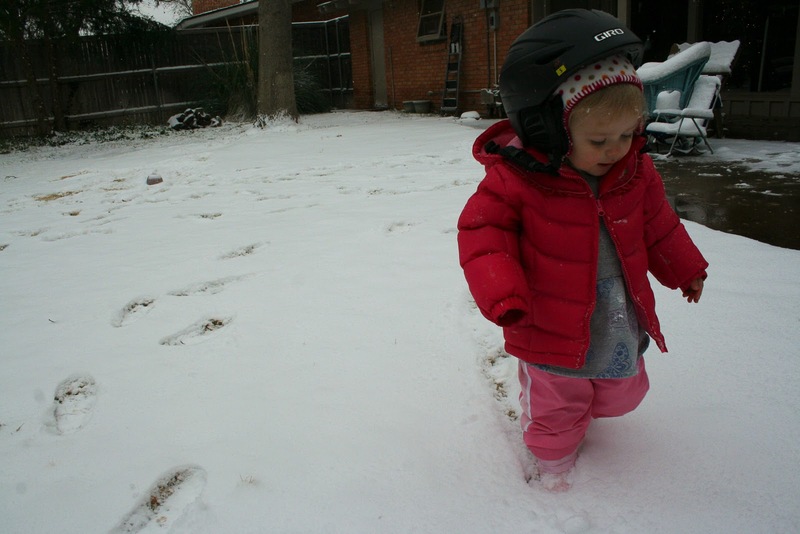 In this picture she is proudly sporting Josh's ski helmet - it's one of her favorite dress up items, and she was insistent that it go outside with her. So last week I promised that I would have at least one picture of myself in this round up - and here is this week's. 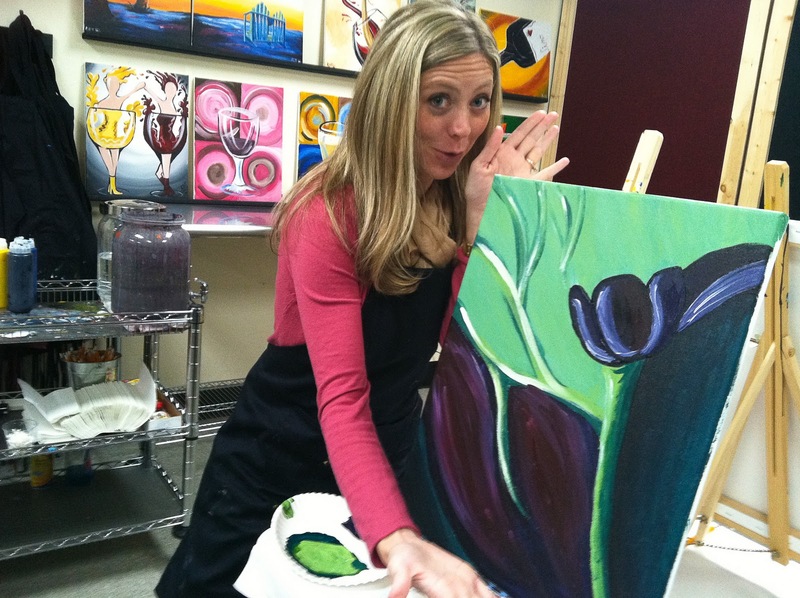 On Tuesday night we went to Painting with a Twist to celebrate my mom's birthday with some friends. It was a really fun experience and I'll probably blog about it later this week. This was the day that I had forgotten to take a picture...but I'm so glad I waited because this shot captures a new discovery this week. I introduced Selah to the joy of playing with a box earlier in the week & then it progressed to this contraption which we lovingly call the Gabba Car. Josh retrofitted it with her Yo Gabba Gabba nap mat & gave it fitting car noises all week. It is her favorite place to sit, and on Wednesday night it was just the two of us - so I let her sit in her Gabba Car to watch - well, Gabba before bedtime. 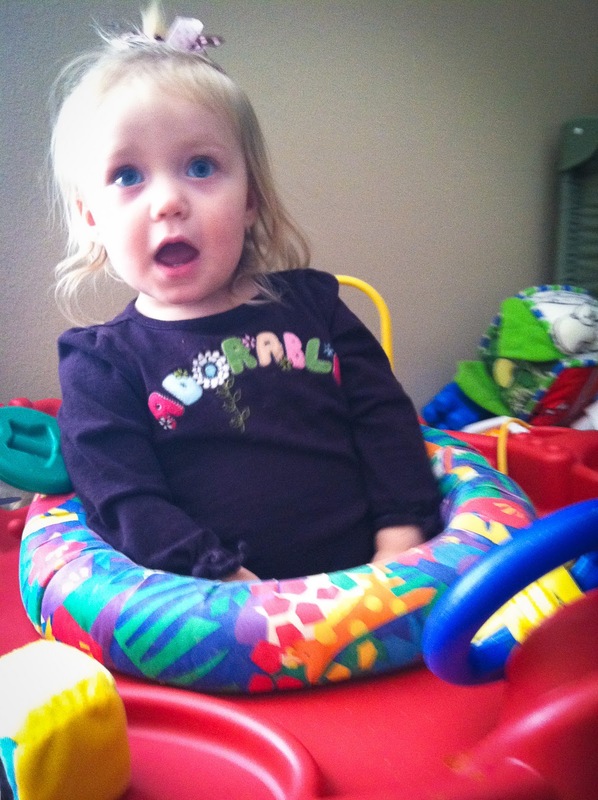 She was elated & transfixed! 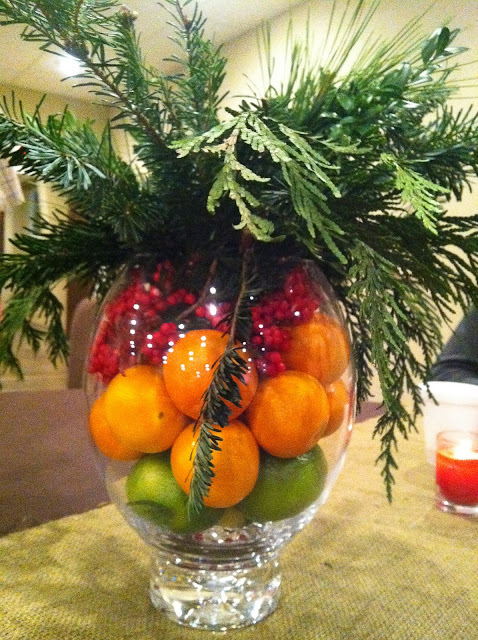 Last night was our annual church staff Christmas party and these were the centerpieces - aren't they pretty - very pinterest worthy! So that is a snapshot into my life this week! Won't you share with us what you documented this week? Below is a place to link up your blog (my first time to do this so hopefully it will go smoothly). If you are joining us, please check out other's posts and give lots of love! Until next time, get those cameras out and capture the small joys in your life! I've been in the mood to take on little craft projects lately. I decided I wanted to learn to knit & even purchased the required yarn & needles. You know how far I've gotten on the gorgeous gray scarf I'm envisioning in my head? Yep, I haven't even opened the package that the needles are in...and although I've yet to begin it's still a project on my to-do list. I've been working on other random projects lately too - spray painting outdoor furniture (although it's now too cold outside to finish the said project), an online scrapbook (I'm actually almost finished with this little gem), and even an Advent wreath (this should hopefully be finished today - truthfully...we'll just see). Do you ever start projects too only to find that they were great in theory and may be great in reality but either the time or motivation seems to be but a vapor and projects are just laying around? I hope I'm not alone - I think most women are prone to this (men too)...perhaps this is why pinterest is such a hit? Anyways, I wanted to tell you all about yet another project that I'm venturing towards. 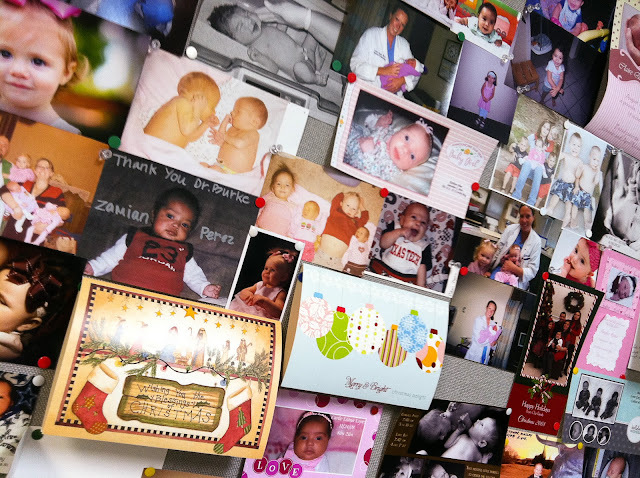 Have you heard of Project 365? It's basically a photography challenge of sorts in which you take one picture a day to document your life. 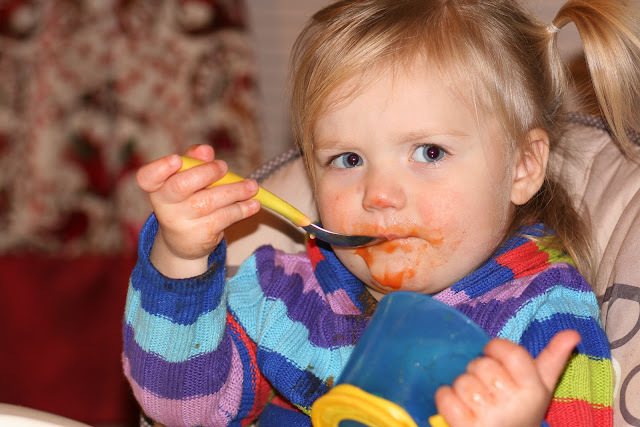 People have been doing it for quite some time - taking pictures of their children as they grow, taking a snapshot just of their profiles or growing beards, and others taking shots of the little mundane aspects that make up our daily lives. I've been intrigued by this idea for awhile, and then I just decided I would try to make this little project a reality for 2012! 1. I'm trying to be more present in my daily life, and for me, there is something about taking a picture that reminds me to cherish that moment. 2. I'm also trying to grow in my attitude of gratitude - especially when it comes to the small moments of life. I've kept a gifts journal (via Ann Voskamp), and I love having something tangible that is like a letter to the Lord simply saying thank you. And how cool to have a visual reminder of those little things I now see as a gift! 3. I'm wanting to grow in my photography skills. 4. I want to have a way to remember this season of life - the small moments when Selah climbs into the dryer (this happened on Sunday) and the big moments like Christmas or travelling the globe. So, I'm going to do it, and I've decided to take Fridays to share with the blog world the pics I've taken that week. I'm not going to be strict about any of this (so a post may not appear until Saturday...or Monday). I'm not going to limit myself to particularly great pictures either (if something is happening and all I have is my iPhone - I'm capturing that moment). Lastly, I'd love it if any of you wanted to take on this challenge with me. There's just something about knowing you aren't alone in a project that makes it more fun...and there is even some accountability. So what do you think? Interested in pulling out your cameras and capturing life as it happens? 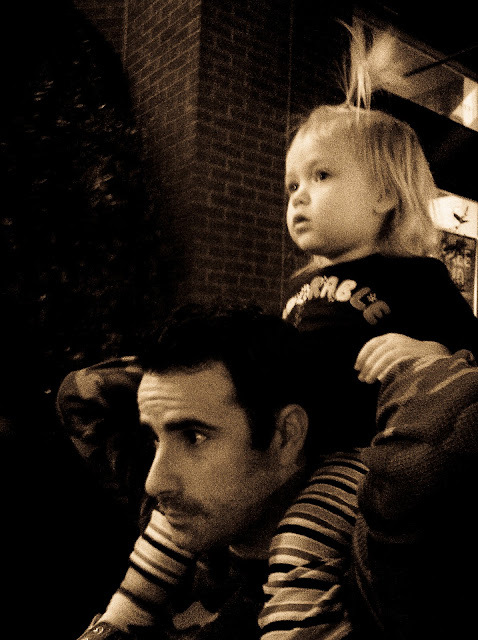 I'm going to go ahead and start sharing a photo a day (I'll post a week's worth every Friday)...and then in the new year we can officially start & I'll provide a place for you to link your blog here in case you want to show others how you are capturing each day of 2012. Here is my first test week! 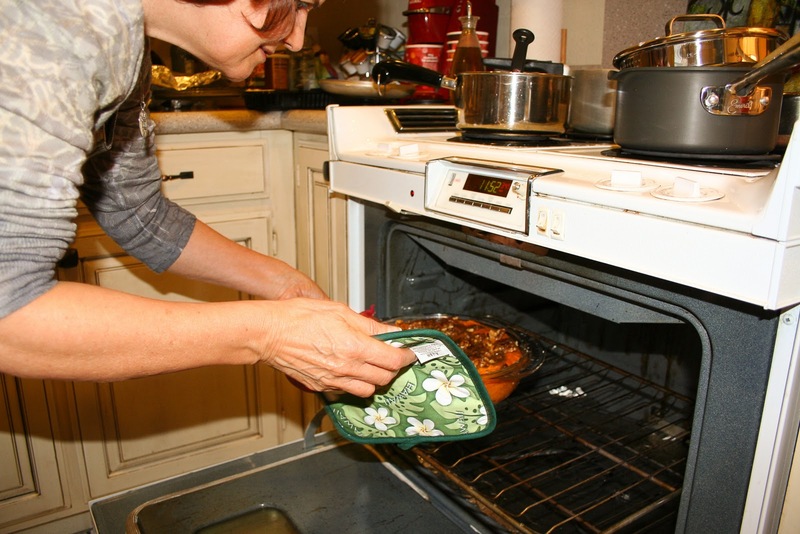 Day 1 - Thanksgiving (This is my lovely mother-in-law Marcy & her world famous sweet potato casserole). I never liked sweet potatoes until I had hers and I am forever converted. Day 3 - Driving home from Dallas. 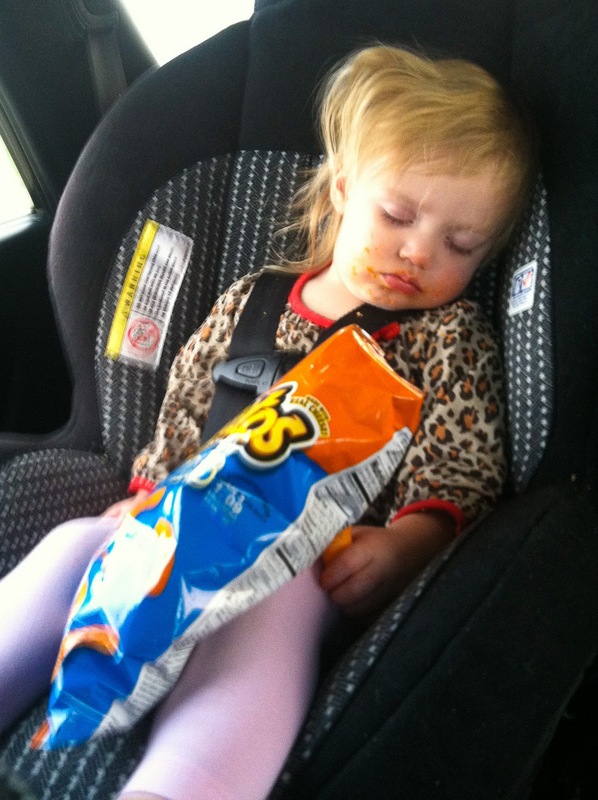 Not my proudest moment as a parent, but I love junk food when driving and thought Selah could enjoy some too - This might truly be the best representation of a food coma - notice the Cheeto in her little hand! Day 4 - Decorating the Christmas Tree - Selah loves the shiny Christmas ornaments! 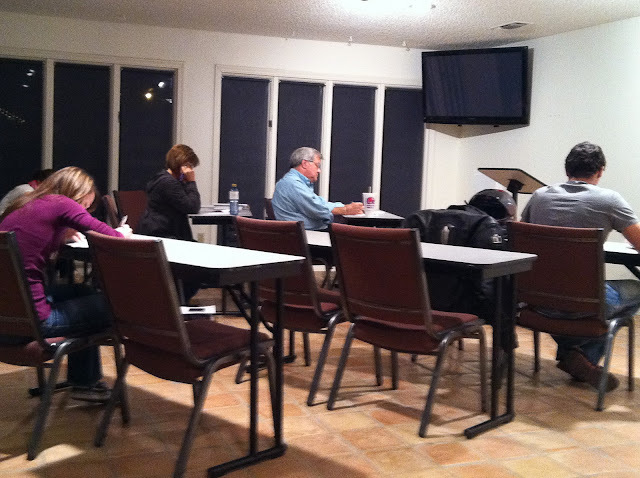 Day 5 - I was giving a final exam in The Pauline Epistles class I teach - this was my vantage point as the students furiously wrote. 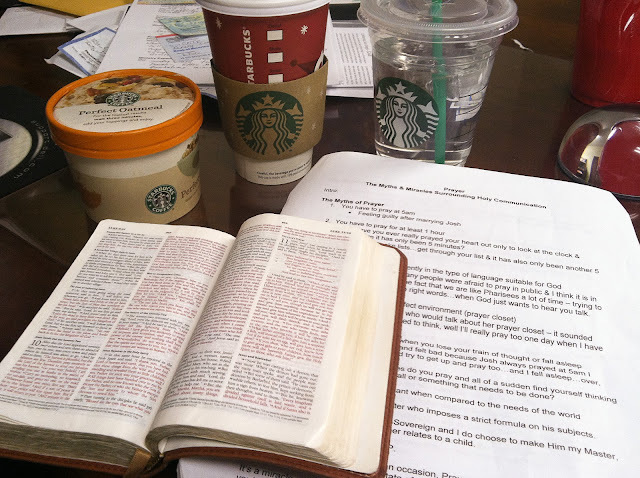 Day 7 - Sermon Preparation. The final result is a sermon entitled: Prayer - The Myths and Miracles of Divine Communication. I'm excited to preach it soon! Day 8 - Lights at Vintage with my family. I'm really going to try and have one picture of myself each week - I've discovered that I'm never in pictures - always just behind the camera...so even if they are out of focus (like this lovely one) I'm still going to get in front of the camera every once in awhile to remind myself that I was in fact all the events that I document. What do you think? Have any interest in joining me in this Project 365? Any ideas on how to make this a project that is actually accomplished?